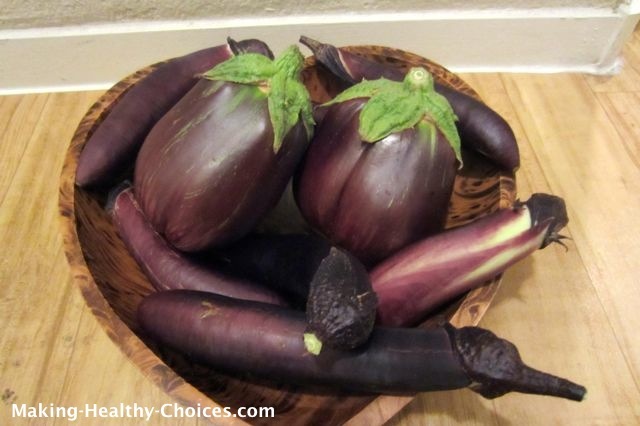 This eggplant recipe is so versatile; its crunchy, tasty and can be used on so many things. I was recently given a bunch of eggplant from my friend's garden and I came up with this fun way to use it. Once made, these will last a long time and are easy to carry, making them ideal travel or camping foods. 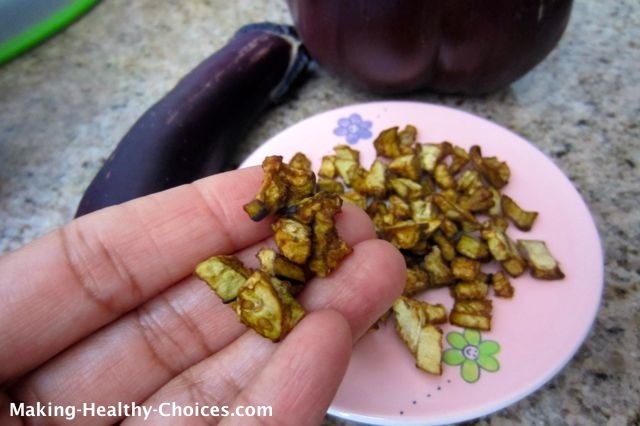 Here are some great ideas for using these Eggplant Crunchies. Cut up eggplant and set aside. Mix all other ingredients in a big bowl to make the marinade. 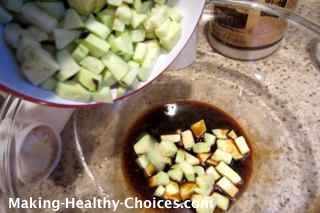 Add cubed eggplant to the marinade, mix well and let sit for a couple of hours or overnight. 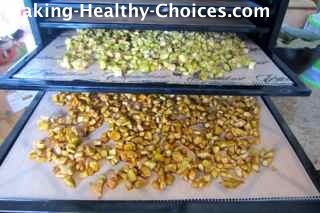 Place on dehydrator trays (I use an Excalibur Dehydrator) and dehydrate until crispy, I left mine overnight. 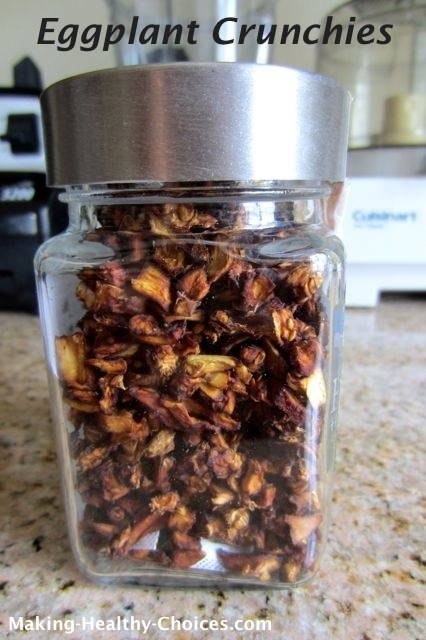 When crispy, store in an air tight glass jar. For the marinade you could also use things like Vegemite, Marmite, Nutritional Yeast, Sea Salt. Not everyone chooses to use these types of ingredients but I mention them as some may like to experiment with these. You can also make this eggplant recipe in a spicy tomato marinade using a marinade made from fresh tomatoes, sun dried tomatoes, chili peppers, dates, thyme, rosemary and dill. 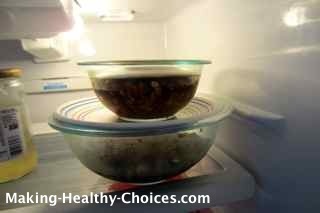 I have yet to try this variation but I am sure it will be delicious! We made these a few weeks ago and they became an instant hit in our home. Everyone that tried them, asks for more!